The subtle savours of the summer come alive in this exquisite blend. Delicate and soft textured, this will surprise and delight the palate. 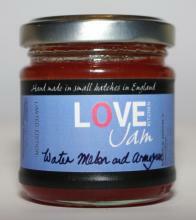 Fabulous served with Panna Cotta or other dessert where the flavours of this unique jam can really shine.